Department of Justice and Attorney General. My initial approach to the Minister related to properties that were being marketed by developers as residential developments and applied Accommodation Module. The UOAQ opinion is that this practice is for the developer to access a 25 year management agreement available under Accommodation Module as opposed to 10 years available under Standard Module. A development or scheme represented as residential to prospective purchasers clearly would not have the “eligibility criteria” of predominately “accommodation lots”, yet the developer has applied Accommodation Module. The government being made aware and failing to address this practice is condoning its continuation, leading to increasing future schemes applying the more financially beneficial Accommodation Module and diminishing the number of Standard Module schemes. 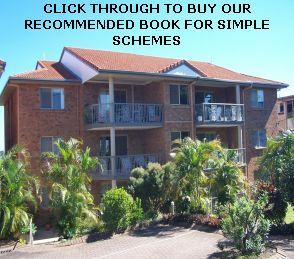 Furthermore I have provided evidence to the Minister sourced from the Office of Body Corporate and Community Management, that during 2013 one third of new strata schemes in Queensland applied Accommodation Module, which is a dramatic difference from the 28,000 / 3,000 proportions detailed in your letter. It became clear to UOAQ that during 2013 there was a spike in developers applying Accommodation Module, which raises concern as to whether the eligibility criteria is being adequately supervised. In that regard, the response from my local Divisional Councilor Lex Bell, indicated “that the focus of a local authority appears to be more on planning than on use” and “My conclusion in answer to your request for my view, is that policing of classification into models of buildings under the Body Corporate and Community Management Act is best done by the State and not by Local Government”. Should this be the general view of local government, one could understand the prevalence of failed supervision, as detailed in the recent Griffith University study. The UOAQ is gravely concerned that the government, in the interests of development at any cost and providing developers increased encouragement incentive and benefit, is intent on abandoning eligibility criteria for Accommodation Module, to permit the sale of 25 year management rights agreements to the increased benefit of developers and detriment of unit owners. There appears to be some misunderstanding and confusion regarding the UOAQ position on application of BCCM Act management modules. The UOAQ understands buiding classifications assigned by the National Construction Code (NCC), but UOAQ does not agree with the apparent Queensland Government interpretation of class 2 building use. The UOAQ understands the local council zoning in relation to building use. The UOAQ understands the local government responsibility for enforcement of correct building use in accordance with the assigned NCC classification. But UOAQ does not agree with the Gold CoastCC interpretation of the NCC definition of class 2 building use as transient accommodation. The UOAQ also understands the application of management modules for accommodation and residential buildings in accordance with the BCCM Act. ·The UOAQ does not understand how a building that is marketed by a developer as residential and not having appropriate elegibility criteria, can have Accommodation Module applied to the scheme, permitting the developer to sell a 25 year caretaking contract. Nor is it clear who is exercising the responsibility for enforcing the correct management module. 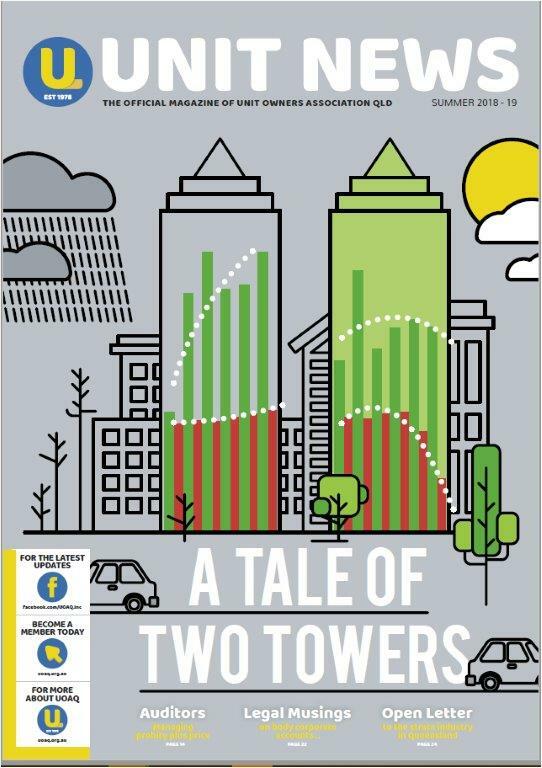 Likewise UOAQ does not understand how unit purchasers in Queensland can be assured they are purchasing into a residential building providing attributes of lifestyle, amenity, safety and health, among like-minded owners seeking attributes of neighbourhood and community, and avoiding the impact of unwanted short term holiday renters. These issues raise serious questions of compromised consumer protection.